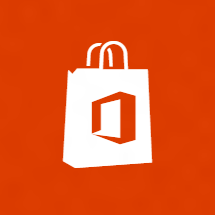 Whilst creating some documentation in one of my latest roles I had no problem finding information online however I struggled to find information on all the products included in the Office 365 E3 bundle in one place. So I’ve created this quick high level overview to aid others in the future. 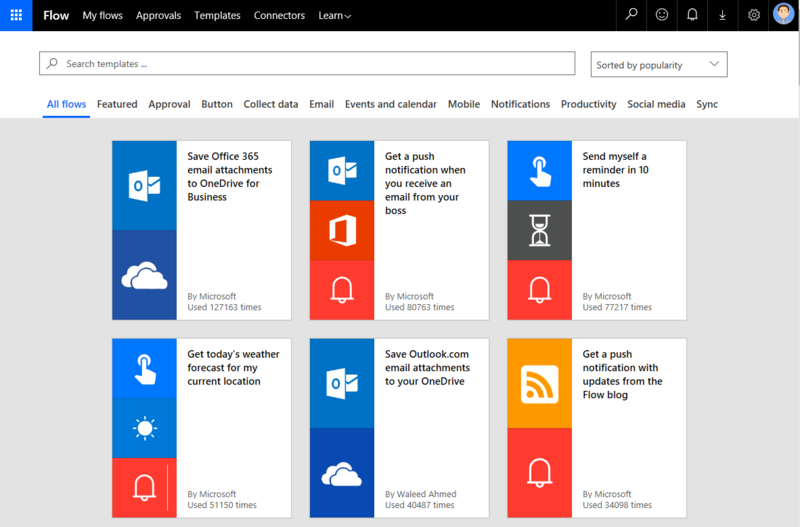 Microsoft Office 365 provides the collaboration tools and software as a service solution for businesses of all sizes. 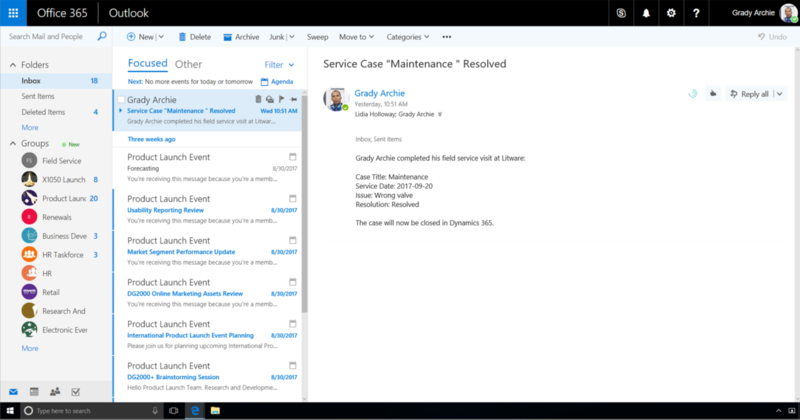 Office 365 is designed to be able to strike a balance between a user’s drive for productivity and the IT security department’s need to keep the companies data safe and secure. 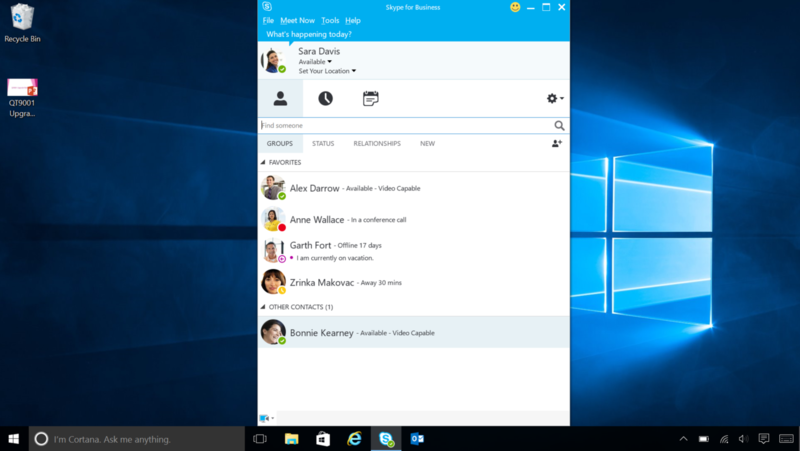 Because of this Microsoft now boasts over 100 million monthly paid commercial users. As Microsoft are constantly adding new datacenters to cope with the ever increasing number of companies and users its useful to know where your data is stored for each service. This site provides that information, simply just select which area you are in. 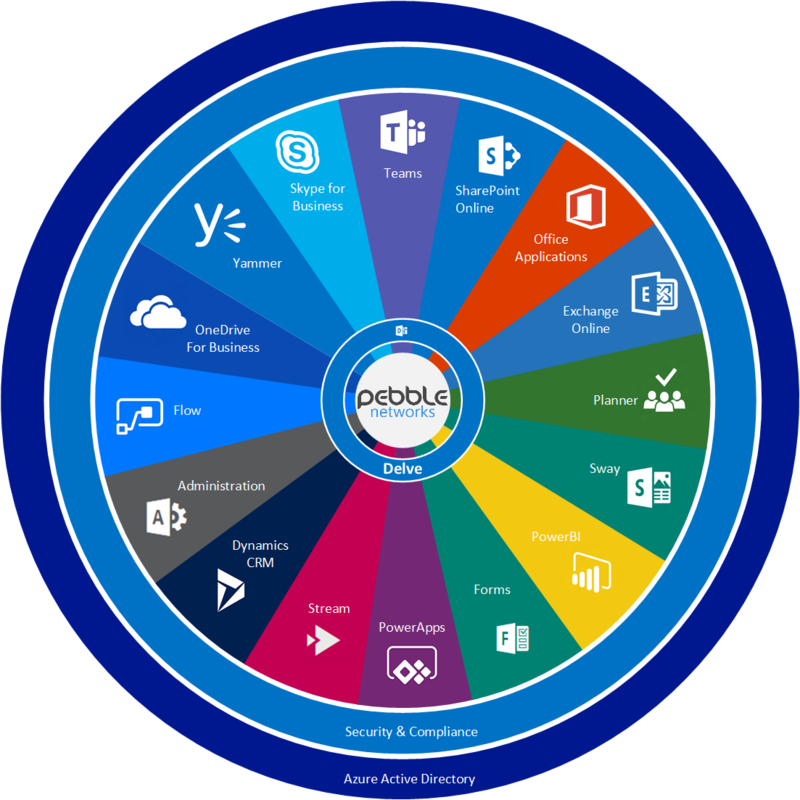 Below is a graphical representation of the core parts which make up an Office365 Enterprise subscription. 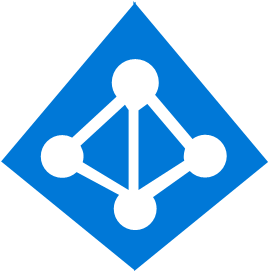 Azure Active Directory (Azure AD) is how everything in Office365 (and Azure) is secured. Identity is the new security plane and Azure AD excels at this. 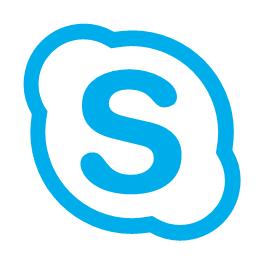 B2B directory so you can add Guests from other organisations Office365 to collaborate securely. 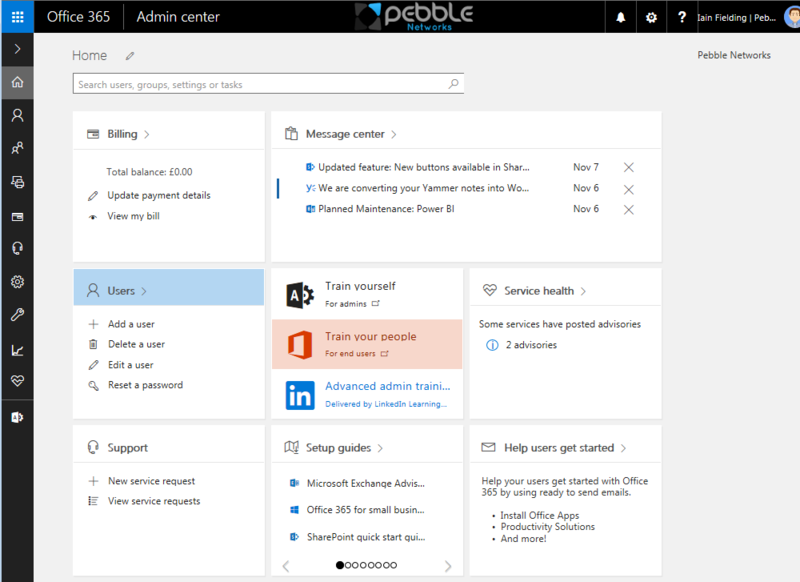 Although Branding and Multifactor Authentication isn’t included in the subscription it is provided by Office365 directly via the Office365 admin portal. Upgrading to the basic edition for ~£0.75 a user a month will provide a very useful feature which I would recommend you consider. Group based access management and license management. There are 2 premium plans which give some amazing additional features and can be purchased on a per user basis or as part of the Secure Productive Enterprise or Enterprise Mobility and Security bundles which are purchased separately. For more information on the premium plans click here. 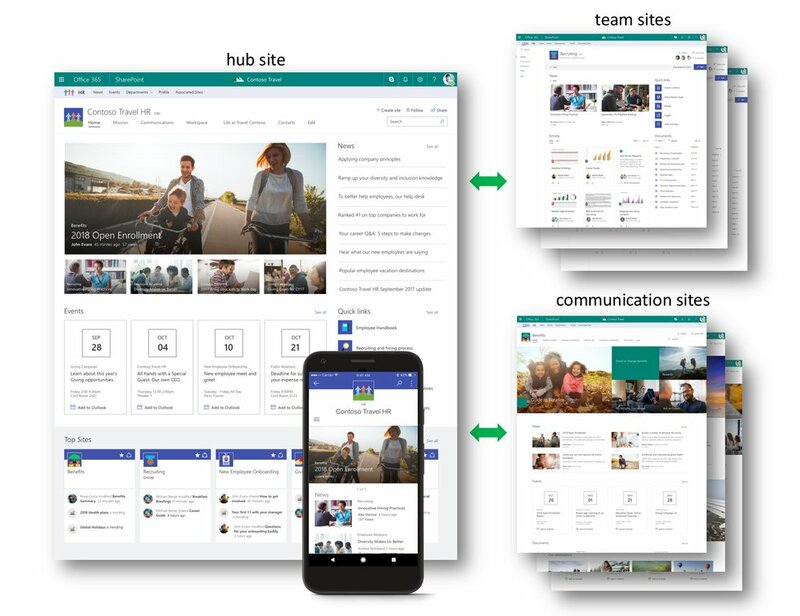 The Security & Compliance center is designed to bring together all the compliance features across Office365 in to one central place. 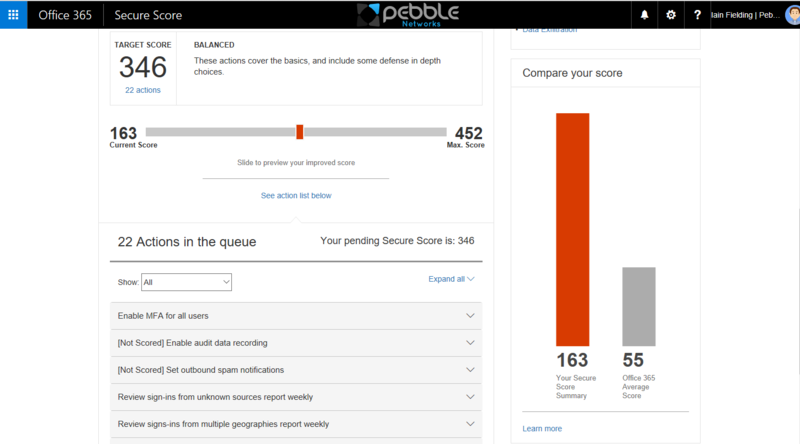 This area also houses the Office 365 Secure Score which helps IT security teams assess the overall security of your Office 365 environment and provides guides on how to increase it. 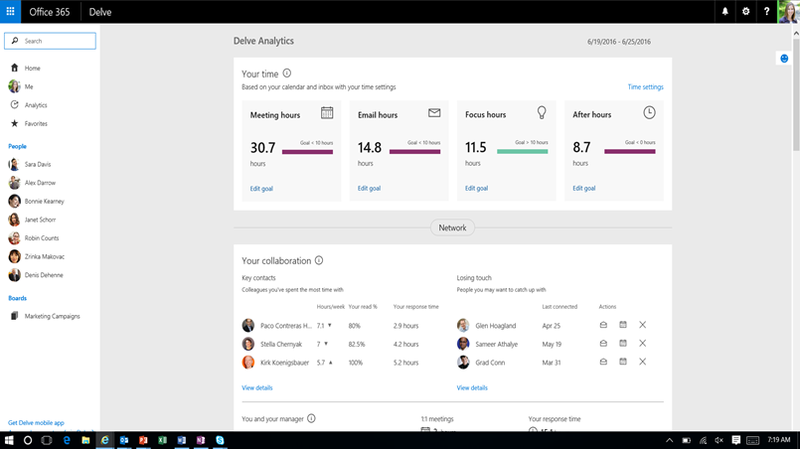 Delve is built on the machine learning technology called Office Graph, it builds relationships between people and content across all of Office 365. 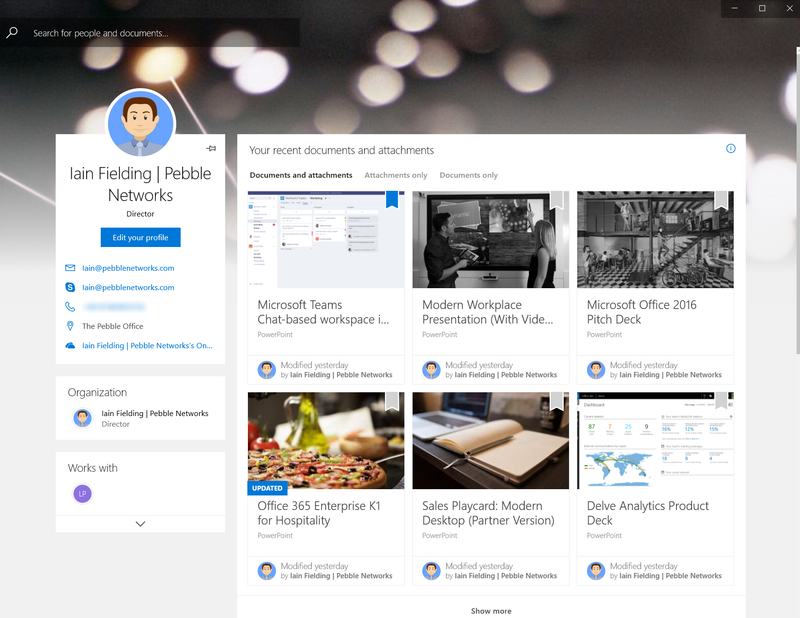 Delve is able to present personalised content based on those relationships, and provides the ability to search across documents stored in Email, SharePoint, OneDrive, Yammer and Stream (all security trimmed to just what the user has access too). One of the other features which i use almost daily is the organisation chart, which is automatically created if the manager field is populated in the user details. 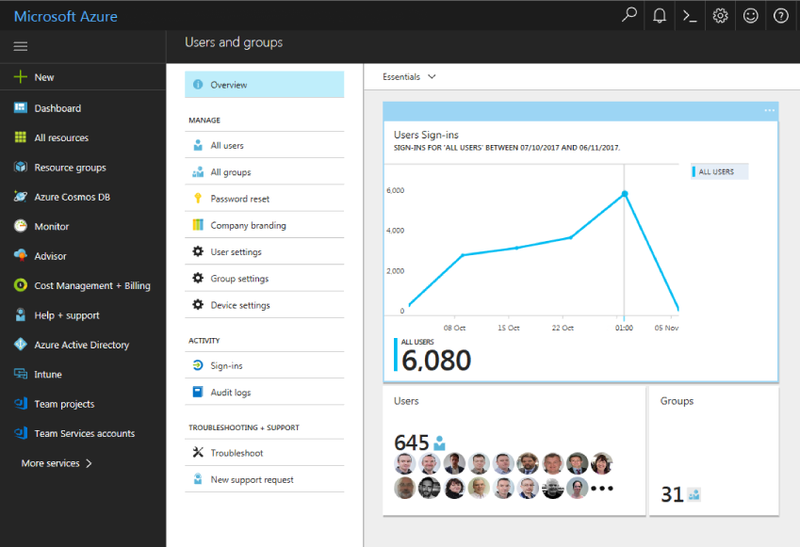 Delve has a premium “add-on” too – MyAnalytics, which is available either in the E5 bundle of Office365 or on a per user license. This great feature once enabled helps people to understand how they spend their time at work. From reports on multi-tasking in meetings, to how many times their manager emails them. 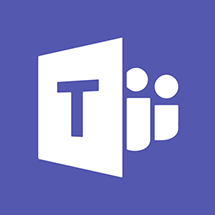 Teams provides easy access to the information needed in a dedicated hub for teamwork from either a desktop app or online. 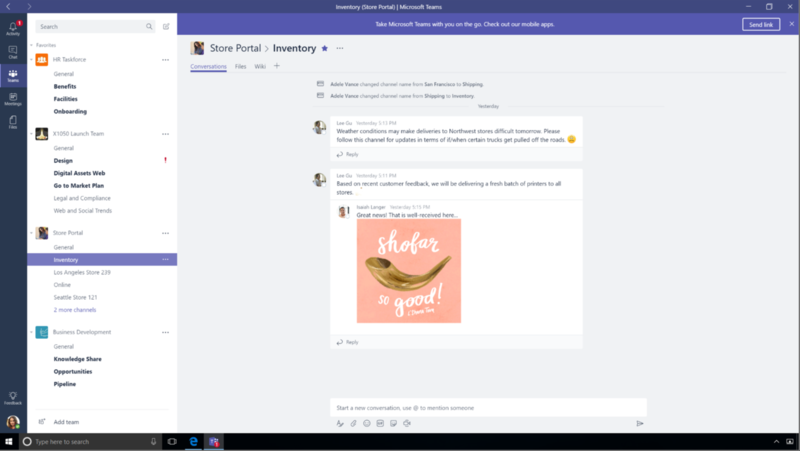 Designed to be the central place to get your work done, users can see all the teams they are in and collaborate with both colleagues and external guests. 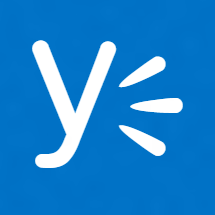 Has connectors to loads of other solutions such as Dynamics and Yammer to 100’s of non Microsoft solutions such as Twitter, Jira and Zendesk. 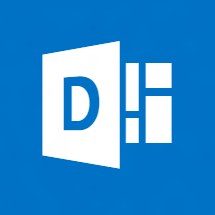 #This is my favourite product in the whole Office365 suite ! 🙂 I’m planning to do a whole blog on Teams in the coming weeks but if you haven’t already implemented Teams yet take a look at this link. 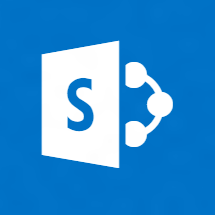 SharePoint Online is the underlying technology used to enable most of the collaboration features… Want to Co-Author a document, it must be saved on SharePoint. Depending on the settings configured in the security and compliance section you can also share files with partners, named guests or anonymous users. All of these sites have a deep integration with the Office Online apps. 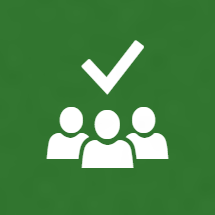 Although Microsoft creates the framework and some basic templates which are perfect for small and medium sized enterprises; for larger organisations you may want to take a look at the Patterns and Practices community. 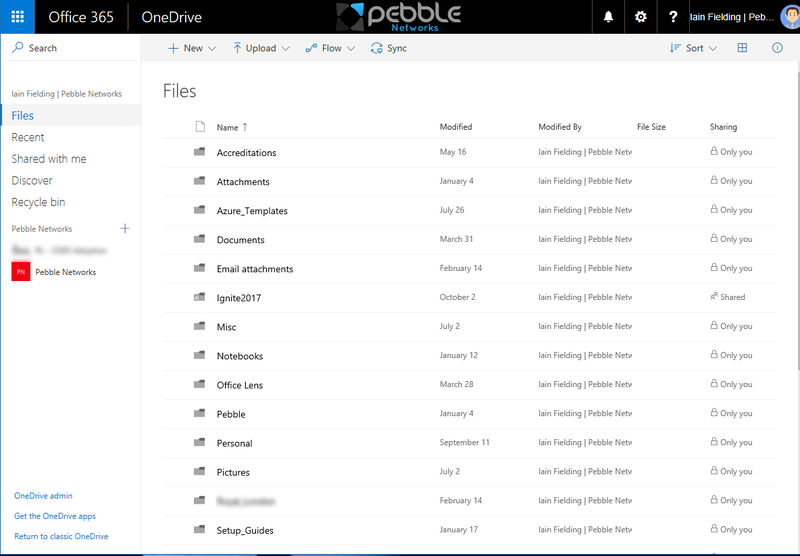 Built on top of SharePoint Online; OneDrive for business provides 1TB of personal cloud storage for each user of Office365. Its inbuilt integration with the Office applications is clear to see from the outset coupled with the ability to share with internal and external users (subject to policies from the security & compliance) proves to be a winner with most users. 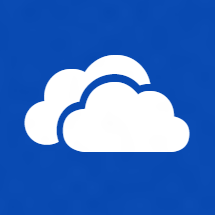 There is now a new version of the OneDrive for Business sync tool to enable offline syncing and is controllable via group policy. 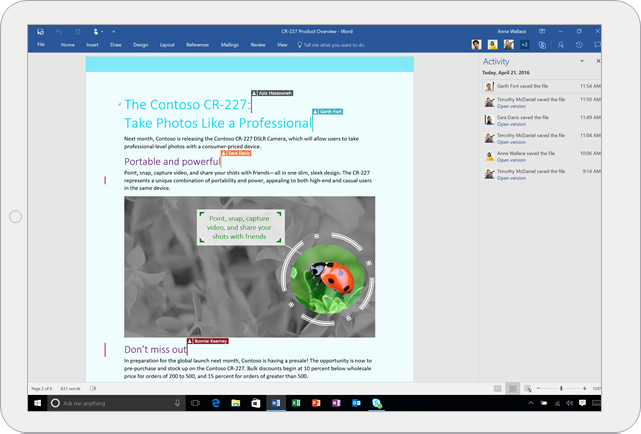 The office apps come in two versions – Online and Desktop versions. 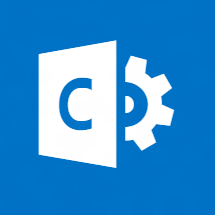 Both versions support Co-Authoring and collaboration on all of the popular operating systems. 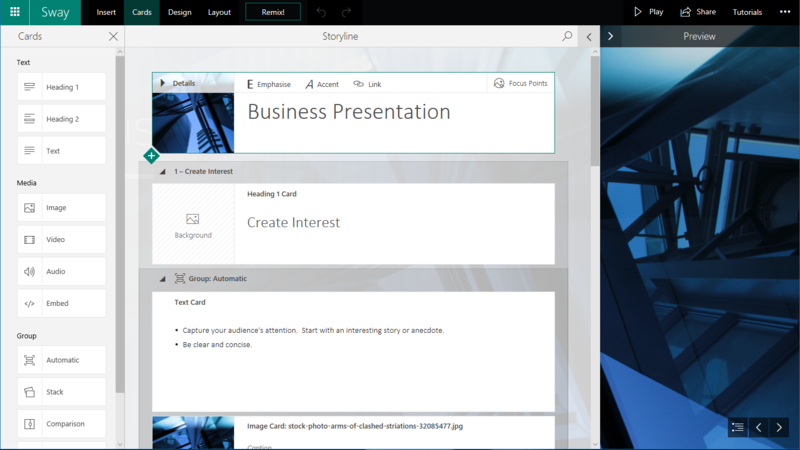 Visio Online and Project Online are premium “add-ons” licensed monthly per user. 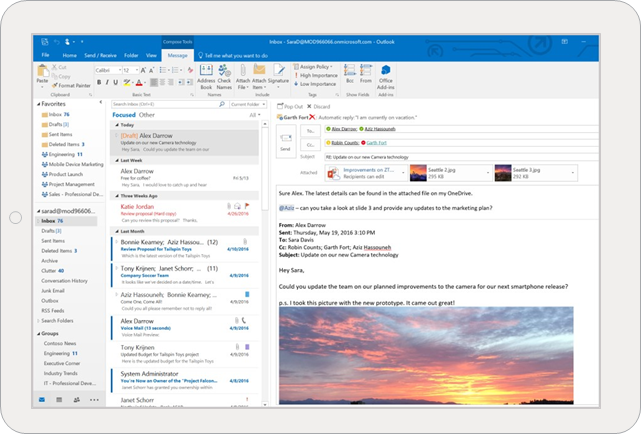 Each user license can install Office on 5 PCs or Macs, 5 tablets and 5 phones for that users use. A multiple activation option exists for shared computer use. A social networking solution designed for the business world. Collaborate both internally and externally with colleagues, customers, and vendors alike. Connect to the entire organisation with groups, robust search, and integrations with other business applications. Great for one to many communications. 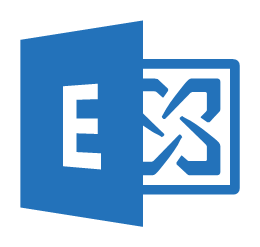 Exchange online is the Software as a Service version of Exchange on-premise, however unlike traditional SaaS solutions you do get a great deal of control how the service is configured. Ability to seamless migrate users with a Hybrid configuration. Can route all mail in and outbound via current security devices if required. 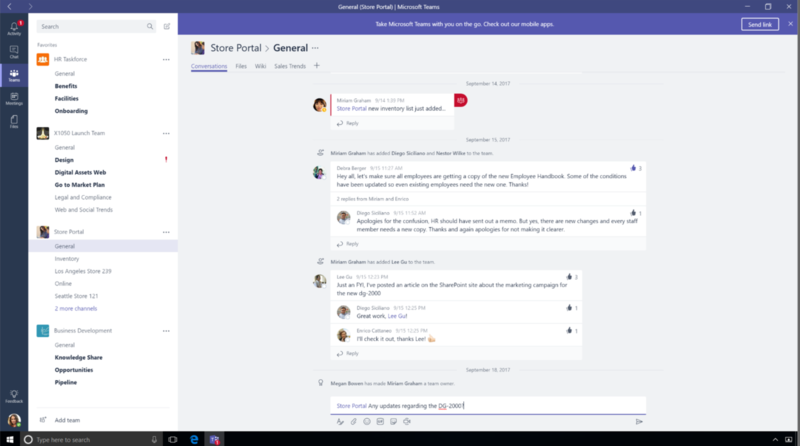 If your looking to adopt Microsoft Teams or Planner then users will get the best experience by also having their mail hosted in Exchange Online. 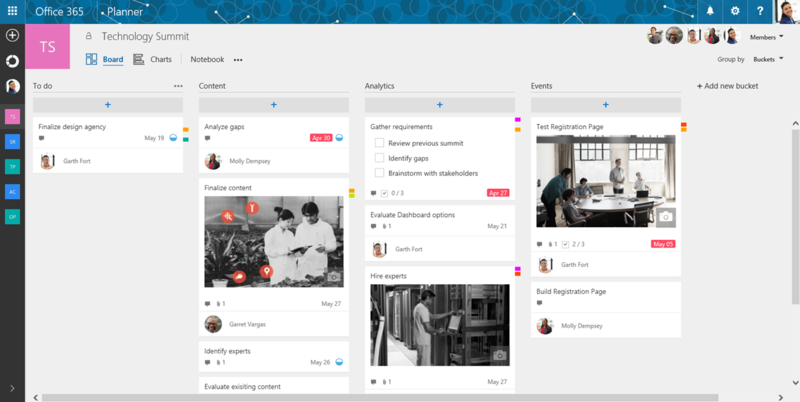 Planner is a Kanban style project management board where teams can create new plans; organize, assign and collaborate on tasks; set due dates and update statuses, while visual dashboards and email notifications keep everyone informed on progress. Has a dependency on Exchange Online for task integration. The roadmap for this service is to merge with the Teams client over FY 2018. 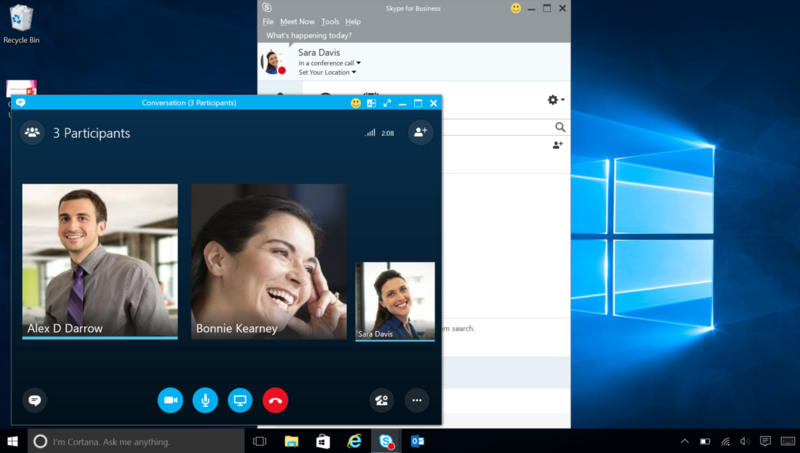 There are quite a few premium add-ons for Skype for business and many are included in the E5 Office365 sku. Flow is a SaaS offering which enables the automation of workflows across many number of SaaS services. 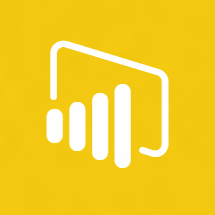 As you would expect Flow integrates with the Office365 services but also many other non-microsoft provided solutions. Templates are available for the most common tasks but they can also be created from scratch with a very intuitive and guided process. 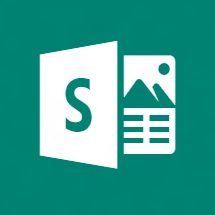 Sway is a digital presentation solution, allowing users to combine text and media in an easily editable way. There are many pre-defined templates and styles but your also able to use a Remix! function allowing Sway to randomly select a differrnt style to see how it looks. There is a great Sway on how-to Sway which can be found here. The administration console has worked hard to provide a first-class admin experience with tools to efficiently manage all aspects of the service in one place. Reporting is also found in this console along with Partner information. Some times PowerShell has to be used instead of the console. 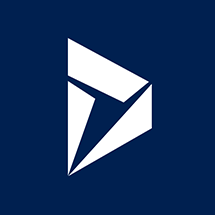 Dynamics 365 is a CRM / ERP cloud service but all that is provided as part of the Office 365 Enterprise plans is the base Dynamics 365 framework. 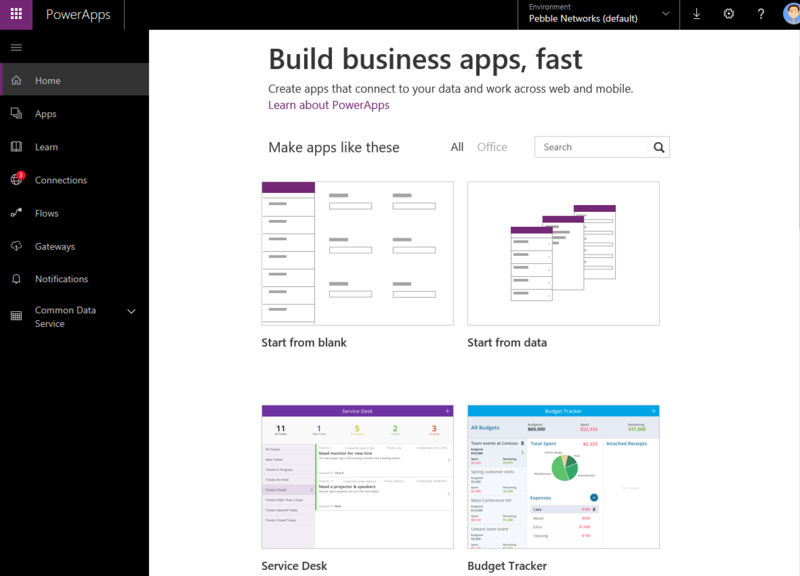 you can add the modules which matches your requirements or you can build your own with PowerApps. The framework also provides access to the AppSource marketplace making it possible to add 3rd party components or to find qualified partners to help with the development of your Dynamics 365 environment. The Dynamics 365 plans come in 2 bundles or you can subscribe to an individual solution. Plan 1 – includes sales, customer service, field service & service automation modules. Plan 2 – includes all of plan 1 & the operations module. 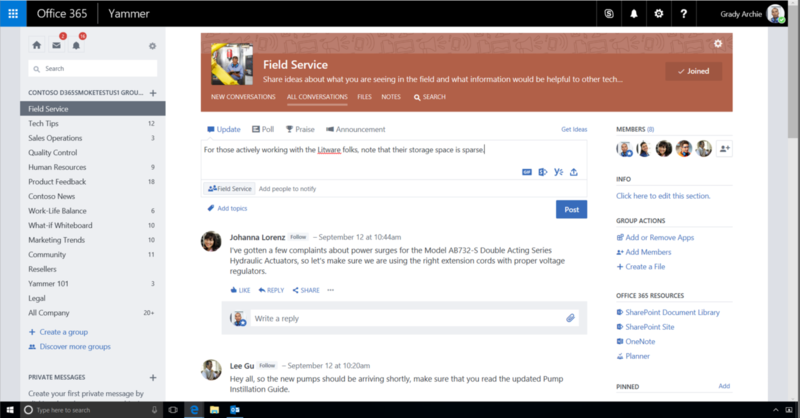 There is a great video giving a first look at Dynamics 365 and all the modules here. 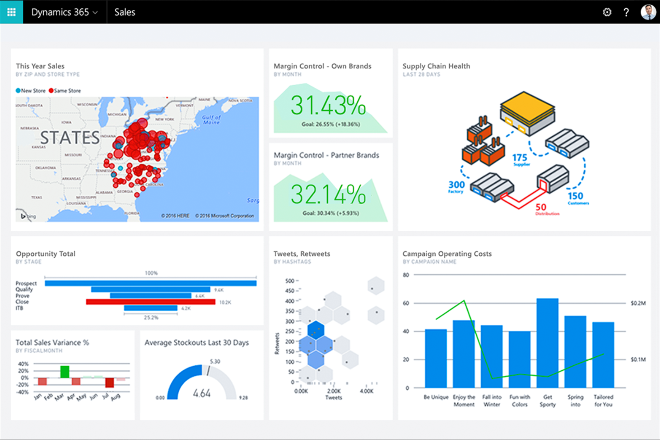 PowerBI is a suite of business analytics tools to analyze data and share the insights. 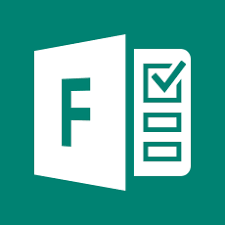 The free version is supplied with Office365 E(1-5) subscriptions where as the Pro version is a premium “add-on” user license. The free version provides the ability to connect to hundreds of data sources, clean and prepare the data using visual tools and then build great reports which can be imbedded in to websites. The Pro version enables automatic data refreshing and collaboration on the shared data. 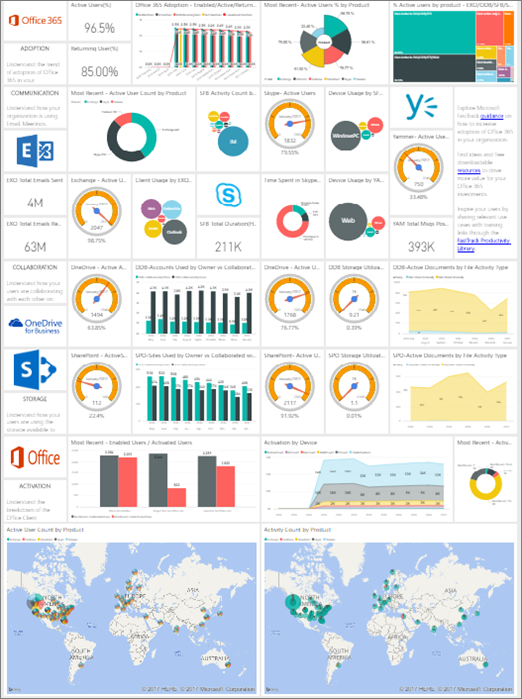 Microsoft have created an Office365 adoption content pack for PowerBI which consists of a series of dashboards that give great insight in to what is really going on with the O365 subscription. 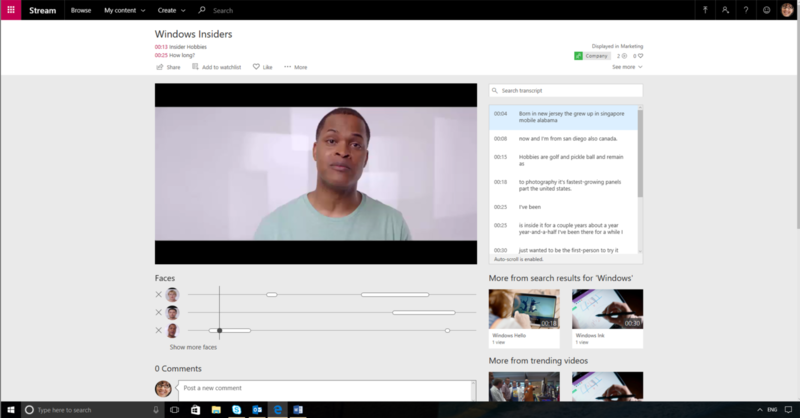 Stream is a corporate video-sharing service, secured to the companies Office 365tenant and providing an automatic transcript of the video. 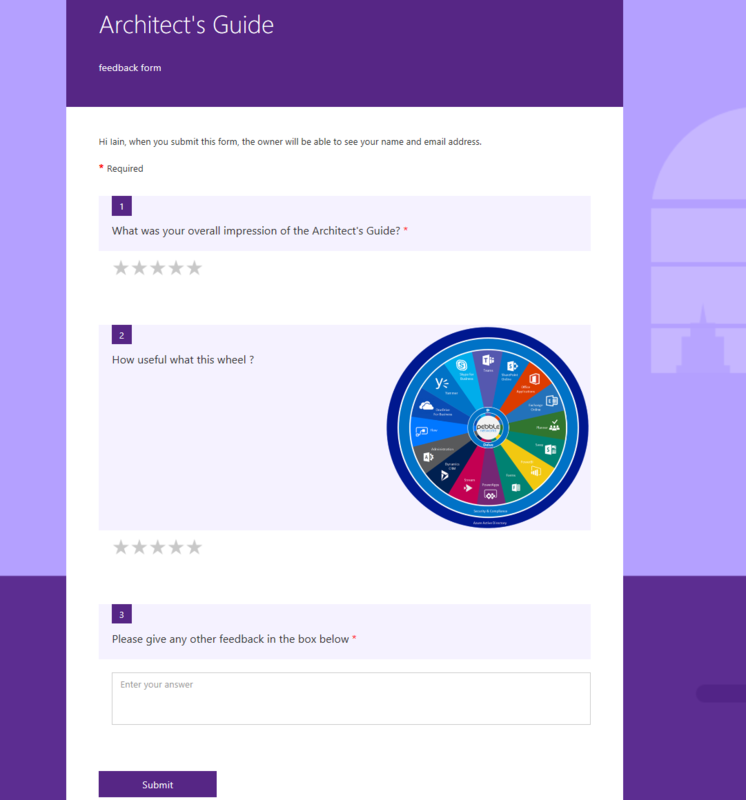 Forms is an assessment and survey tool which lets you collect customer feedback, measure satisfaction and gives all the results in an excel spreadsheet. 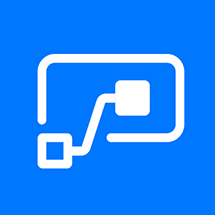 PowerApps is best described as PowerPoint for building applications. 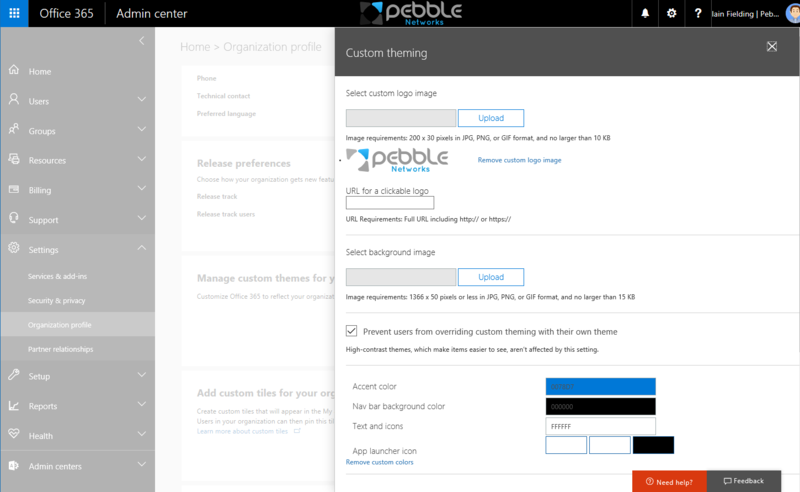 With lots of pre-defined templates for mobile and tablet applications, its quick to get started. 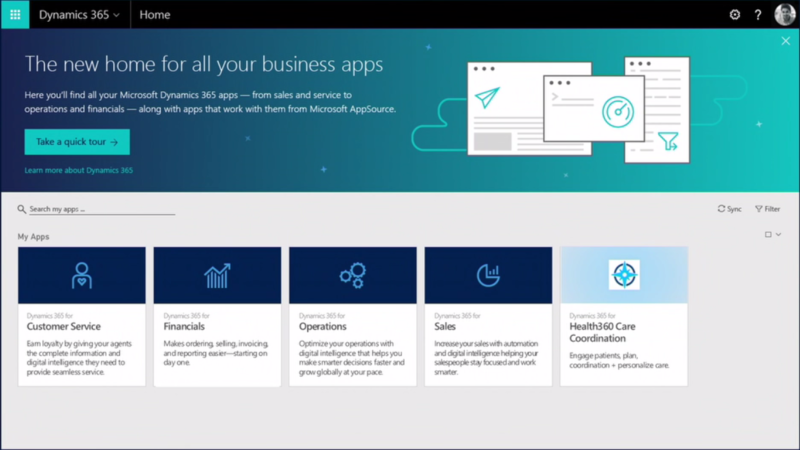 Integration to Office365 and many other SaaS providers is ready out of the box and when coupled with Flow you can build apps and have the business logic behind the app without having to write a single line of code. 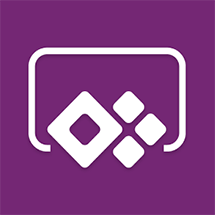 A great introduction to PowerApps can be found here.